Neuro: The Brain, associations, emotions, connections. Linguistic: The power of language, words, influence, semantics, symbols. Programming: Designing new outcomes, creating new patterns. NLP is a modern approach to ‘efficiency of personal results’. Its all about what goes on in your head before you have a certain feeling, thought or act a certain behaviour. Practically, it is a philosophy of attitudes (being curious, analytical, open minded, enthusiastic) and a collection of techniques. The techniques can vary between the simple (anchoring, working with mental movies) to the complex (modelling a persons individual ‘processes’ to try and imitate replicate results). Whilst NLP can be interesting and useful, most of its use in practice is highly irritating because people ‘dip into it’ with introductory textbooks and pretend to know what they’re doing. One of the most excruciating experiences is meeting someone who has just been on an NLP training course. Neuro-Linguistic Programming (NLP) has steadily evolved into a huge field of applied psychology. It was built upon the idea of modelling excellence, allowing people to expand their flexibility and choices. Through exploring the unique cognitive patterns that people use to get great results in any chosen field, Richard Bandler and John Grinder discovered cognitive patterns that were based in language and sensory experience. This then led to a collection of psychological tools, interventions and skills which are efficient, concise and powerful in generating positive change-work. Whatever your unique situation is, NLP may be able offer tools, inner resources and awarenesses that can allow you to create more flexibility and choice. Would you prefer to have the choice to remain calm instead of panicking? Would you prefer to be motivated rather than procrastinating? Would you prefer to do something else instead of a useless habit? By creating new patterns and subconscious processes, you can create new outcomes. You can also learn more about how your own mind and brain works, giving you a greater sense of control and self-awareness. However, the claims of NLP for long-standing change can be inflated. It can be very useful for superficial situations (mild anxiety for public speaking, for example, or a phobia), but complex issues such as deep-rooted self-image issues or negative self-beliefs may have difficulty in being solved with the often over-simplistic approach of an NLP practitioner. Everyone is different. Some people think more in pictures, some with feelings and some with sound based thoughts. The combinations of these inner awarenesses, thoughts and experiences lead to very specific outcomes. By exploring and changing these unique patterns, you can create new outcomes – ones which are more useful, positive and beneficial to your goals. NLP is often merged with hypnosis and hypnotherapy because both deal with subconscious processes, and are therefore highly efficient. When used together, the combination can be efficient to getting the positive results that you are looking for. I trained in hypnotherapy and NLP, and worked for four years helping a wide range of clients get the positive results they want. I found NLP techniques and approaches useful only as a “side”. For me personally, the main thrust of good therapeutic work is based on enhanced self-awareness and emotional dynamics. 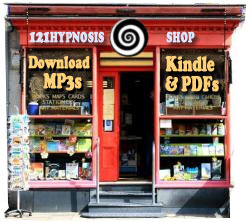 Hypnosis is very useful to work with those resources, but real hypnosis really has very little to do with what NLP has become and how its widely used. More recently I find the cult that NLP a little cringe-worthy. I’m far more interested in the mechanics of hypnosis and how unfulfilled emotional needs drive a persons self-images and goals. I am very interested in seeing an NLP practitioner and would be glad of further information. I am currently suffering from intolerable tinnitus, following an ear infection. I have been suicidal with the noise level and two different types of anti-depressants have had bad side-effects. I am desperate to reduce both the noise and the fear/anxiety I am experiencing. I am ‘negative’ to the point of seeing no future but am hoping that this may offer some light at the end of the tunnel. I have just spent a very interesting hour reading through your website. It is fabulously simple and informative. I Would love to talk you you about your training and experiences if you had time. I am a Fitness Trainer and have just started expanding into Life Coaching which I feel is hugely beneficial on many levels to both my current clients and to people in life in general..